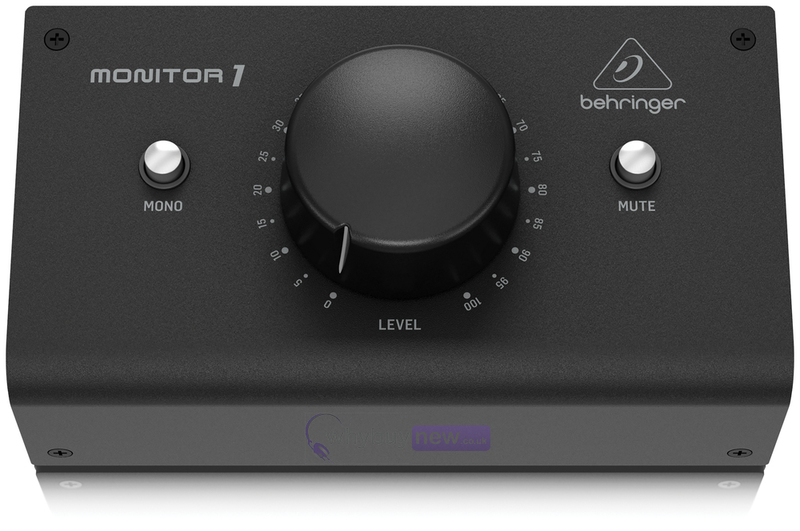 The Behringer Monitor 1 is a passive stereo monitor and volume controller designed for recording both in home and professional studios. Featuring no active circuitry, it will maintain a pure analog signal with no distortion or intereference, and the high-quality dual XLR/TRS inputs, XLR outputs and 2 1/8" jack sockets are allow it to be easily integrated in to your recording set-up. The Monitor 1 also features a sizeable volume knob, which means the distance between the degrees on the dial is much greater, enabling you to make minute adjustments for ultra-high precision. The Monitor 1 Premium Passive Stereo Monitor and Volume Controller takes the analog signal to the next level, putting high-resolution audio level control right at your fingertips. With no active circuitry or digital artifacts to color the sound, you can instantly adjust the level of your active studio monitors. The large volume knob makes it easy to dial-in the perfect level every time, without having to reach for your mixer or your mouse! 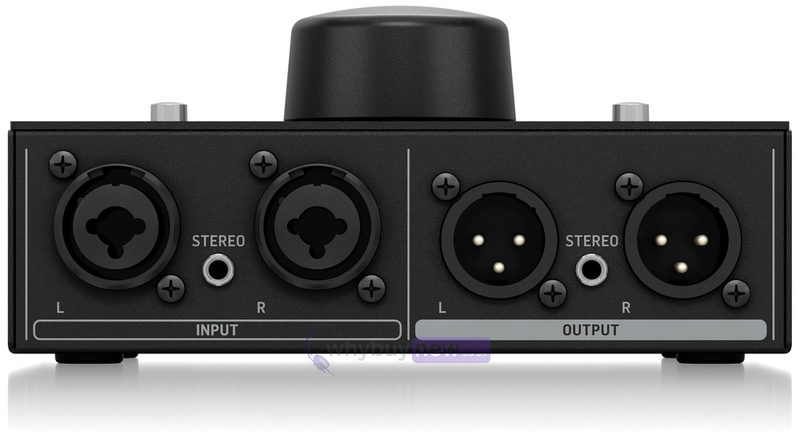 With XLR/TRS combo Inputs and XLR Outputs, as well as two 3.5 mm (18") jacks, Monitor 1 is ultra-easy to connect to your current system and it is so affordable. 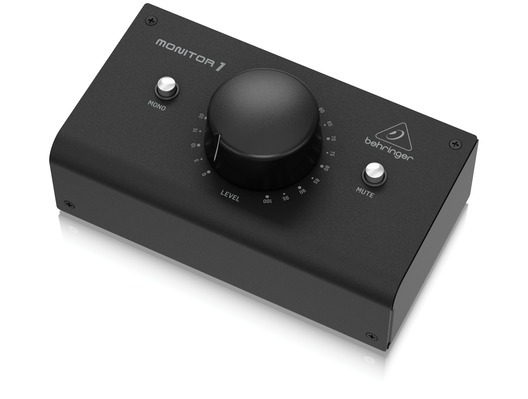 Although it sounds contradictory, the Monitor 1 is totally passive, meaning external power is not required and there is no active circuitry to affect the purity of the analog signal coming from your mixer or audio interface. Monitor 1 doesn't get in the way of your sound source, and will not add any distortion or RF interference to your system. So whether you're recording in your bedroom or laying down tracks at a professional recording studio, Monitor 1 makes sure the volume is always exactly where you need it when you need it. And when it's time for a break, just press the convenient Mute button to turn the sound completely off. Small knobs make for low precision. Conversely, the bigger the knob is, the higher the precision. Think of a knob as a circle. On a small circle/knob, the distance from one degree to the next is very small, making it difficult to dial-in perfection. On Monitor 1's big knob, the distance between degrees of the circle is much larger, allowing you to make high-precision adjustments with ease. 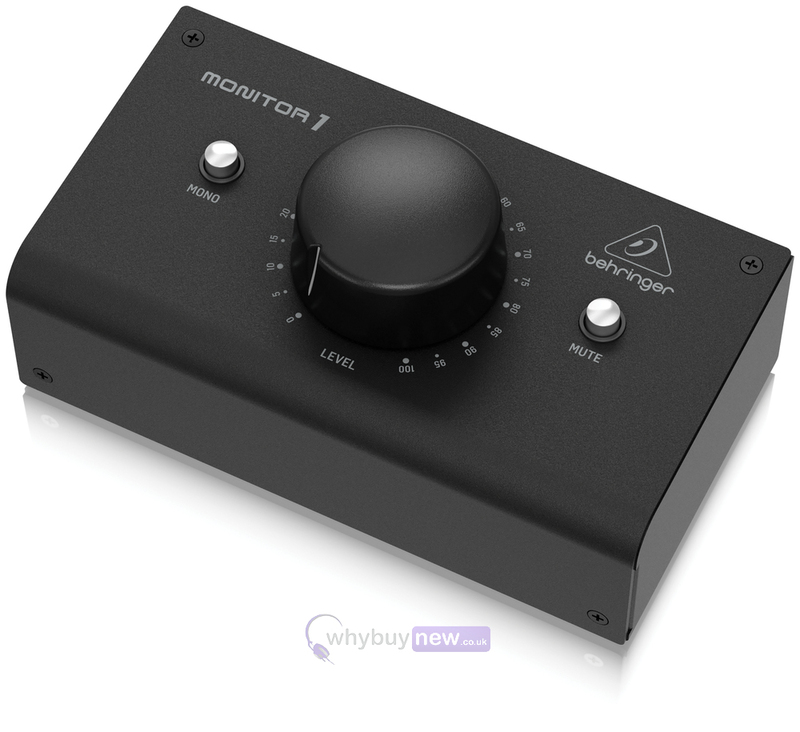 Monitor 1's bigger knob helps you set levels fast and accurately. Monitor 1 takes up a fraction of the space on your desk as your mixer, and thanks to its tiny footprint it's never in the way. But even though it is small, Monitor 1 is all about quality, all the way from the stereo XLR/TRS combo and 18" Inputs to the XLR and 18" Outputs. We designed the Monitor 1 to provide many years of super-clean, high-fidelity performance in the most critical listening environment yours! Built from the highest-grade components, Monitor 1 is the perfect way to put a little easy into your current studio monitoring setup. 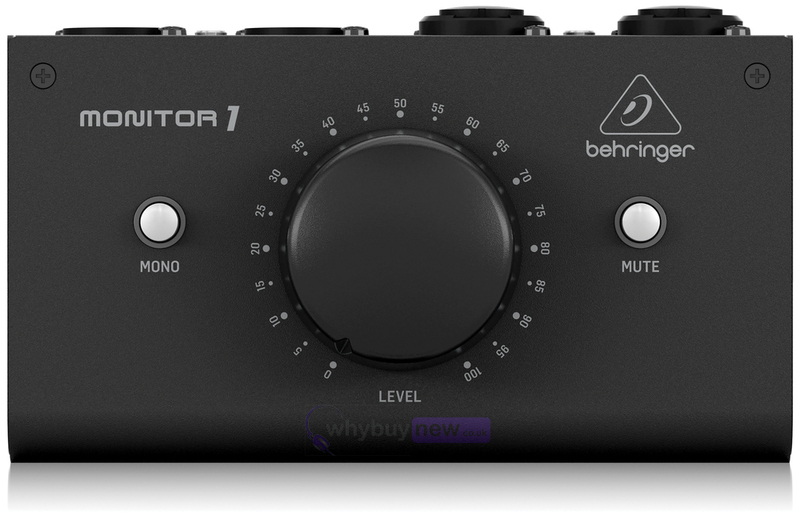 Check out the amazing Monitor 1 at your local Behringer dealer, or get yours online today. Easy has never sounded better!